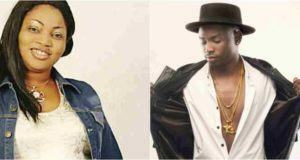 Lil Kesh and Olamide come through with end of the year tune titled ‘Logo Benz’. Mr Miyagi, Lil Kesh and Olamide Baddo hit the studio to serve their fans with a brand new street anthem for the festive period and wrap the year up. The new jam record ‘Logo Benz’ got full potentials to make you lift your body, soul and even kidney #in Lil Kesh voice# lol. The production credit goes to the new street hitmaker Rexxie.